If you want to get to the nuts and bolts of public administration, public policy internships are the way to go. You can learn about how laws are made, and how they are enforced. Whether you intern at a think tank, for a lobbyist, or land a Congressional internship, these are great opportunities to gain true experience, and make useful contacts. Internships: The National Association of Schools of Public Affairs and Administration offers a helpful resource on finding public policy internships. Public Policy Internships: Learn about different internship opportunities for engineering students. The IEEE offers great advice on getting the internship you want. Federal Internships: Helpful advice on finding internships, as well as information on federal internship programs, and how to apply. Opportunities for Law Students: Look for a legal internship with the Department of Justice. A great way to learn about public policy and administration. StudentJobs: Look for job opportunities and internships offered by the federal government. The Washington Center: The idea is to help students find internships in Washington, D.C. You can be placed with a number of different organizations, from environmental to health, to learn about public administration and policy. Washington Internship Institute: You can find out more about what’s available in terms of public administration internships in the nation’s capital. Includes non-profit and other organizations as well as government opportunities. DC Internships: Offered through Georgetown, you can find out what’s available for you in D.C. when it comes to opportunities to intern. Jobs, Internships, and Volunteering: The National Archives offers an opportunity to intern. FBI Internship Programs: Learn more about the FBI and law enforcement policy and administration with an internship at the FBI. Congressional Internships: Internships.com offers helpful insight into what’s available in terms of internships in Congress, as well as with lobbying organizations. Learn more about public health policy, and the daily workings of public health entities. You can also learn quite a bit from non-profit health organizations. Get an internship related to public health, and you can be prepared to work as an administrator in that area. Internships/Fellowships: You can get learn about what the National Institutes of Health has to offer in terms of internships in health administration and policy. 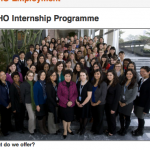 WHO Internship Programme: Work with the World Health Organization as an intern. A great opportunity for talented students. APHA Internship/Fellowship: The American Public Health Association can help you find an internship in public health policy and administration. OMHD Training Opportunities: Provides internships for those interested in the Centers for Disease Control and Prevention’s Office of Minority Health and Health Disparities. Fellowships & Internships: KaiserEdu.org offers listings of internships, and provides you with resources to get the health administration internship you might be looking for. ASPH Graduate Training Programs: The Association of Schools of Public Health can help you find an internship, as well as provide you other helpful information. Families USA Internship Program: Learn more about public health policy, as well as get insight into administration. Great internship opportunity in consumer health care. If you are interested in international relations, as well as gaining an understanding of how administration works in other countries, these types of internships can be very valuable. Get out of your comfort zone a little bit, and enjoy the internship experience of a lifetime. 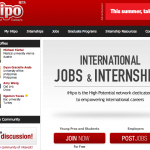 iHipo: Look for a public policy international internship at this web site. Great resource. Internships: The Council on Foreign Relations periodically offers internship opportunities. Keep checking back to see what’s available. Jobs and Internships with IPS: The Institute for Policy Studies offers international policy and administration internships that you can apply for. Great opportunities. Traineeships Office: Work with the European Union. Great opportunities with the EU for the public administration student interested in European policy. Euro Brussels: Find an internship in European affairs in Europe. This web site includes a number of opportunities, from project intern, to environmental, to other opportunities. A great way for you to learn more about government administration. Internship Policy of the African Commission on Human and Peoples’ Rights: Learn how you can get an internship working in Africa with the commission on human rights. Use these web sites to find more information about all manner of internships, including public administration internships. Get tips and networking ideas as well. These sites can help you learn how to turn an internship into a career, and provide insight into landing the internship of your dreams. 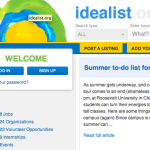 InternWeb.com: Find internships and summer jobs, and get great ideas for successful applications. Idealist.org: Internships for those who want to be public servants, or who want to volunteer. Great opportunities. Monster College: Job site Monster.com offers this site, aimed at students. Great for students looking for internships. Internships USA: A variety of internships for different majors. 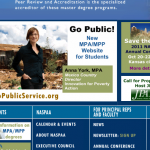 You can find information on internships related to public administration. InternJobs.com: Find internships all over the world with the help of this site. Plenty of public administration and public policy opportunities. Experience.com: Find the right internship for you. Plenty of opportunities, including public administration internships.